The Championship offers up some of the most exciting competition around in its 46 game season & this year looks like being no different & the quality of football shouldn't be underestimated with plenty of players who could cut it at the top level dotted around the teams. We've picked out a couple of likely contenders for promotion & our outright fancies for the Championship trophy. Bolton Wanderers suffered a miserable season last year as they finished 18th & were deservedly relegated after 11 consecutive seasons in the top flight, it was only a year before that Owen Coyle's men were being lauded for some of their play & only a terrible slump at the end (losing their last 5) that stopped them from finishing as high as 8th in 2010-11. Bolton suffered worse than just about any team last year with injury problems, they were robbed for most of the season of their two best players in central midfielder Stu Holden & winger Lee Chung-Yong. Wanderers have so far retained the services of Lee & Holden (maybe partly due to those injury concerns) & seem to have kept the core of their squad even after dropping down, the biggest departures were probably Reo-Coker (not as good as he thinks he is), Jussi Jaaskelainen (a faded force) & Ivan Klasnic (less than prolific). Defence was a huge problem for Bolton last year as they kept just three clean sheets, Coyle has worked to rectify that situation with the American Tim Ream coming in last January & the very astute signing of Matt Mills from Leicester this off-season. Mills is a quality operator at this level as evidenced by consistently good displays for Doncaster & Reading, he never settled at Leicester after signing last summer & once Sven Goran Eriksson was replaced Nigel Pearson it became worse after an alleged falling out between him & the new boss, Bolton should provide him with a new start & hopefully he will reward the chance taken on him. Coyle will also have David Wheater & Zat Knight to call upon at centre back meaning poor form & injuries can be covered, the full back positions are more troublesome but he should have Tyrone Mears back after a full year out due to a broken leg (he's made just one Bolton appearance) & the promising youth team graduate Joe Riley also providing competition at right back, Sam Ricketts may start at left back but expect Spanish youngster Marcos Alonso to push for that starting berth too. 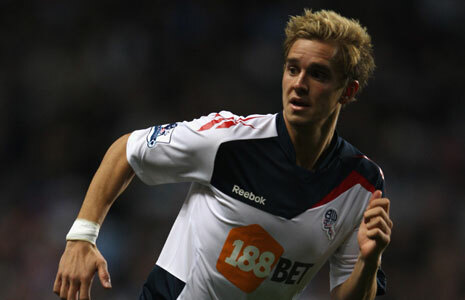 Midfield is a real strength for Bolton, we can scarcely believe they've held onto technical experts Stu Holden & Mark Davies so far & Darren Pratley should do better down at this lower level, they've also added Irishman Keith Andrews to the midfield & he's another who should operate well in the Championship & could add a combative element when needed. Out wide they'll have maybe the two best wingers in the league with Lee & Martin Petrov & as wide cover they've picked up 21 year old Gregg Wylde, one of the Rangers players to join the Exodus, Chris Eagles joins the wide players meaning they've plenty to choose from in every position in the midfield & defence. Up front Bolton probably don't look so strong but Kevin Davies may yet have one good season left in him & he surely won't give away as many freekicks now away from the fussy Premier League referees, he'll enjoy the physical element of this league & will score a fari few plus lay enough off for his strike partners. We're unconvinced by new signing from Watford Marvin Sordell but he was selected by Stuart Pearce for the Olympics (he wasn't great when appearing) so must have a little quality & a new team could bring out the best in him. David Ngog has yet to prove he can score goals anywhere & it's make or break for him now but the loan signing of Arsenal 19 year old Benik Afobe could be a stroke of genius, he's been involved in the England setup at Under 16, 17 & 19 level scoring plenty of goals & he scored a pre season hat trick against Tranmere in his first full Bolton game. 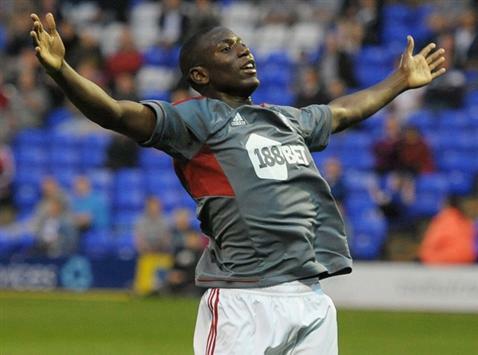 Afobe has been generating a bit of buzz around the Reebok & Bolton will be hoping they have similar success with him as they did with another Arsenal loanee Jack Wilshere, the fancy odds have gone around Afobe to be top goalscorer but 25/1 is still there with BetVictor & William Hill & looks worth chancing. Bolton look by far the best equipped of the relegated teams & we don't rate Leicester's chances as highly as the bookies, Wolves will lose Steven Fletcher & Kevin Doyle needs to regain form quickly whilst Wayne Hennessey has become a liability in goal for them, Blackburn have lost plenty enough players & seem to be in a mess on & off the field, Bolton are our picks for winners at 15/2 & backing them separately for promotion at 11/4 is a better idea than an each way bet. Chasing the Trotters tail could be perennial unlucky losers Cardiff City, if they can eventually gain a deserved promotion after years of near misses their fans might just start to forgive their Malaysian owners abandonment of 104 years of tradition when changing their colours from blue (The Bluebirds) to red. Cardiff have made the playoffs for the last three years & will expect to do at least that again this year, if not gain automatic promotion, the signing of Craig Bellamy is huge & he could be the difference that drives them forward to promotion, he proved last year that his quality is still at a high level & he should hit the ground running after a successful Olympics. Bellamy joins three other substantial signings in 20 year old Jordon Mutch from Birmingham who should add quality & competition to midfield, South Korean international winger Kim Bo-Kyung (reportedly wanted by Monaco) & Slovenian forward Etien Velikonja, veteran striker Heidar Helguson has also joined but we're unsure how much game time he will actually get. Cardiff don't appear to have lost anyone they wanted to keep & will be happy with the fee they got for Kenny Miller who's moved to play in Canada for the Vancouver Whitecaps, they're clearly selling themselves well to good players as the signings they've made look to be of quality performers & with normal improvement we think Cardiff represent excellent value at 4/1 to get promoted. Odds of 4/1 imply just one in five chance of promotion for the Bluebirds but that is surely underestimating them, they've made steady progress in the last few years & maybe without the disappointment of a major cup final loss (penalties to Liverpool in the League Cup) they'll be able to push on for the whole season & make the big time for the first time in 51 years.